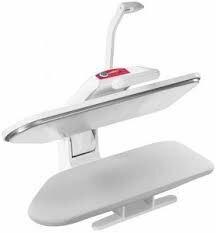 Elna 120 Ironing Press - The Elna Ironing press cuts down your ironing time. Plus it is so easy on your back. no more tangling the wire from your hand iron. become an expert ironer in 3 sessions.